Mr. Cavuto must have known at least some of this when he raised the issue of the tainted donation. He appeared to be a little ashamed and reluctant to broach the issue. And when he did, he fell victim to one of the most thorough and humiliating forensic demolitions ever captured on film – an experience that must have been made all the more painful by the polite and earnest way in which Dr. Paul applied the scalpel. Amen, William! I was cheering the whole time. Will: Don't hold on to any hopes, even in jest, for the likes of Don Black (oh how he must hate his last name) or his twin, David Duke. 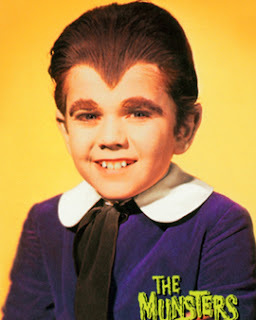 There's plenty of reason to conjecture that he, and other salaried, career race-baiters, are employed as dupes and patsies by the same people that pull the strings of Neal Munster-Cavuto. I never get enough of watching that clip. Cavuto was rather smug in bringing up the donation, then looked absolutely ill as Ron took him apart. He began stammering and then almost whimpering. The entire reason to confront RP on the racist money accusation is simple. Now that Russert had his 15 min. of fame with the doctor.. expect more headlines similiar. I already found one on CNN..
Brace yourselves, the media hate machine hasnt even started on RP yet. How disappointing that the same lemmings who have finally seen the filthy lies of the MSM on the issue of Ron Paul, still swallow their lies on other issues - and then parrot back the alleged wickedness of patriots like Don Black and David Duke. Black is a patriot who supports the Contitution. He also opposes illegal immigration and AA. He's not afraid of mentioning the ethnicity of AIPAC and the MSM and the Fed and the neocons who are destroying the Republic. That makes him evil? Get real. Black sent the donation because he loves the RP message. As do all other patriots. Don't believe the lying MSM - judge for yourselves. Will, I have been over this post a number of times and have yet to find an offensive photo. Did I mention I have been over it a number of times? I'm still struggling to see which of the photos could be considered offensive ... perhaps the author would prefer the women pictured were wearing birkas instead of bras? @grantland: In case you weren't aware, scientists have finished sequencing human DNA. It revealed many wondrous things, along with one rather unfortunate thing, for those with a racist world-view: WE ARE ALL IDENTICAL. Race is little more than variations on the permanence of one's tan; racism has been relegated to the ideological trash heap. It is a dead issue, not to be spoken of in the presence of thinking people. It is a real pleasure to read your columns. Your blog has now become my favorite stop after I'm done devouring Mr. Rockwell's website. I may not agree with everything you say, but I love reading it no less. Intellectually stimulating and thought provoking. Once again, a real pleasure. I think the main point is being missed. Regardless of what you think of Don Black, or anyone else, isn't Don an AMERICAN, too!? Doesn't he have the same rights as other Americans? Or, are his RIGHTS nullifide by opinions he holds which are different from ours? Isn't his right to opinions, his right to vote, campaign, send money, and all other rights we are guaranteed EXACTLY what the words FREEDOM and LIBERTY are all about? 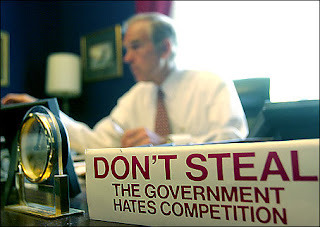 Likewise, isn't it Ron Paul's RIGHT to accept money from anyone he wants without explanations? Doesn't the LOONY LEFT accept donations from groups we would find contemptable? I don't hear Cavuto - or anyone else - railing against Hillary's donations, most of which come from the most bloodthirsty organizations on earth! I can't watch Cavuto's show. It often makes me sick (no pun intended). Neil should have just turned in his resignation after that one. Of the two people on the screen during Cavuto's interview with Ron Paul, only one was promoting the cause of white supremacy. 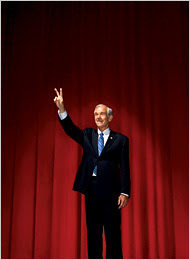 Don Black and other white supremacists don't donate to campaigns like Ron Paul's to advance Ron Paul's agenda. They donate to it to get thousands of dollars in free publicity. 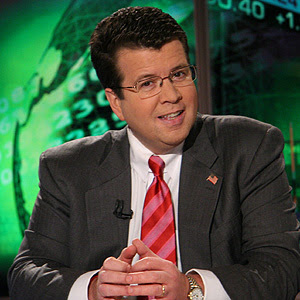 Neil Cavuto obliged Black, giving Black publicity that would have cost tens of thousands of dollars to purchase in straight-out advertising ... for a mere $500. Well anon, I don't know whether you are a troll, or wilfully ignorant, or just deluded. You are utterly wrong, of course. The mean IQ in, say, Zimbabwe, is 66. No that's not a typo. Google microcephalin to find out why. i agree with eddlem...i never even heard of Don Black until neil thrust him into the spotlight...he was a mere speck buried under $18 million until these MSM idiots opened their mouths...im sure many people visited Don's website after Neil's interview.. This post might not "get through" because it's 6:31pm EST Christmas Eve right now, but I'll post anyway. Hope you have a Merry Christmas, Will! I also hope your wife will be able to join you and the kiddies at home or, if not, at the very least y'all can spend some quality time at the Krankenhaus with her, ya hear? Tom Eddlum said "Don Black and other white supremacists don't donate to campaigns like Ron Paul's to advance Ron Paul's agenda. They donate to it to get thousands of dollars in free publicity." Now Tom, that's not necessarily so. How do you know WHY Black donated money? Besides, you make it sound like this was some grand scheme by Black to gain free publicity. Doesn't it, likewise, occur to you that maybe Black is NOT the "evil" dude he's made out to be and simply likes some of the values Paul espouses? Only Black's enemies lable him "evil" without knowing anything more about the guy other than his assertions on race and culture. I know Leftists whose ideas are as repellent to me as Black's are to others. Does that necessarily make them BAD PEOPLE? I give everyone the benefit of the doubt until they PROVE to me to be undeserving. The main thing is that Black is an American along with the rest of us and his choices are his right. I detest all people who would assert otherwise and undermine true Liberty! @grantland: In case you weren't aware, scientists have finished sequencing human DNA. It revealed many wondrous things, along with one rather unfortunate thing, for those with a racist world-view: WE ARE ALL IDENTICAL. Race is little more than variations on the permanence of one's tan;" Well, in fact none of this is true. Although it is true that human populations share roughly 99.9 percent of their genes, it is also true that humans share over 98 percent of their genes with chimpanzees, and a very high amount with animals like mice and dogs. Are you suggesting dogs, chimpanzees, and humans are "all the same"? Not at all true. Did you know that scientists can run an analysis on blood left at a crime scene, and use the results to inform the police the racial makeup of the suspect? Typical FOX. They were just about to pull the plug on Ron Paul. Did you notice the dismissiveness at the end of it. "OK" "unhuh" All we needed was Roger Ailes' feed saying "Cut It"